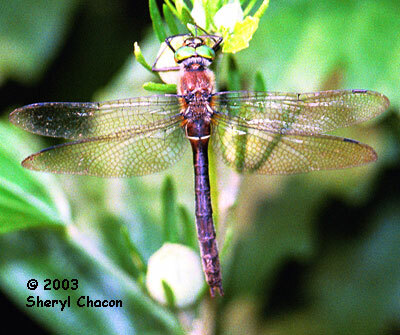 Locally common in the northwest where it inhabits a variety of boggy habitats. 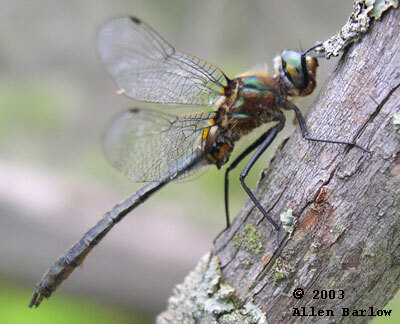 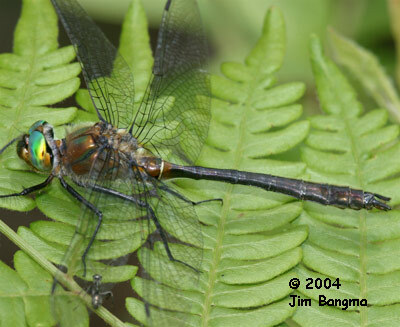 A small stocky Emerald with a moderately clubbed abdomen. 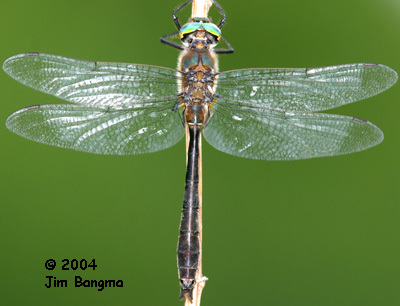 Compare with two smaller Emeralds: Petite Emerald (no club) and the Racket-tailed Emerald (obvious club). 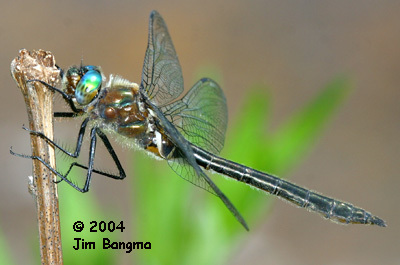 The cerci are divergent and somewhat hairy, although not as much as the larger Brush-tipped Emerald and Williamson's Emerald.